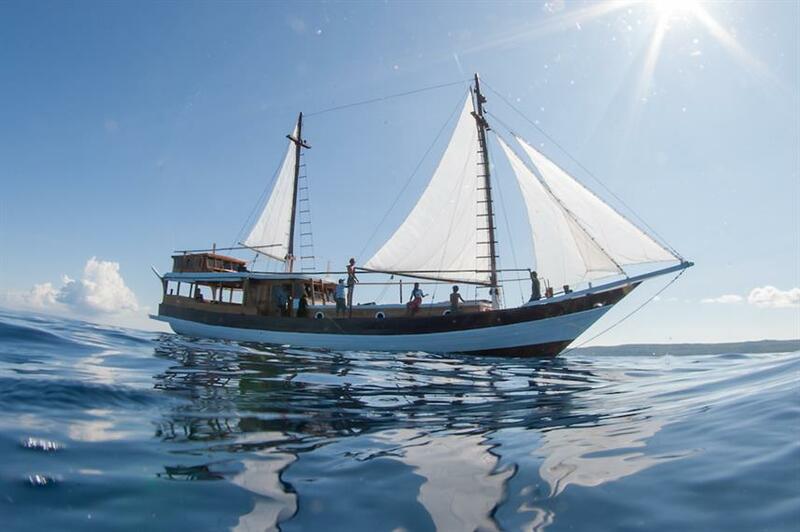 Launched in 2014, the 22m sailing Phinisi Kira Kira is a fantastic budget friendly option for exploring the diverse region of Komodo National Park & Raja Ampat. Hand-crafted over 2 years, the Kira Kira liveaboard was built with stability, comfort and safety in mind. 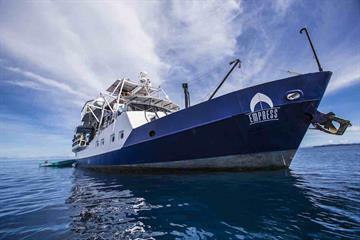 Able to travel up to 1000 nautical miles, she is highly economic and extremely environmentally friendly. 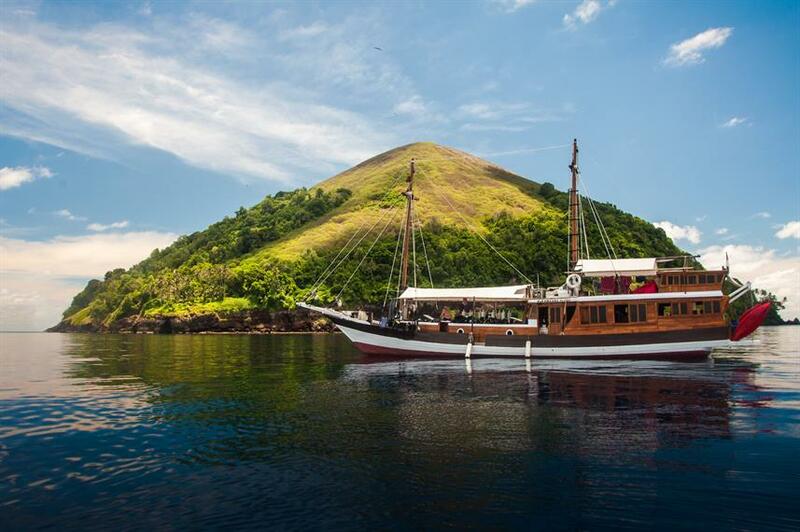 Kira Kira Indonesia caters to a maximum of 8 passengers in 4 cabins, ensuring a more personalised service on board and perfect for friends, families or individuals who would like to join others on the trip. 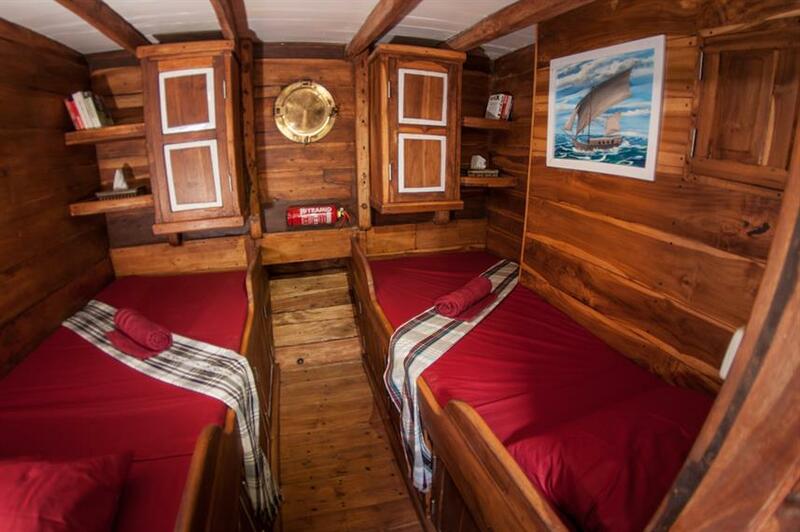 Three of the cabins aboard the Kira Kira liveaboard are twins, and there is one roof-top double which offers amazing panoramic views. 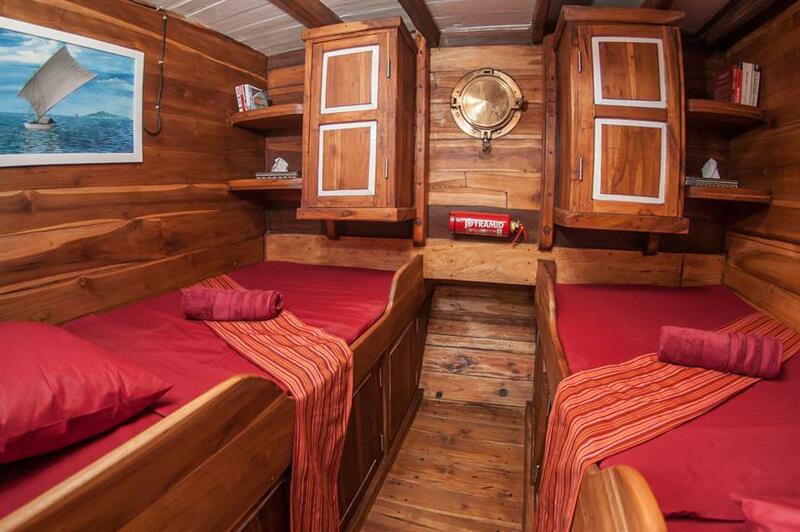 There are 2 shared bathrooms on board and each cabin has storage space for bags and dive gear and wardrobes and ample room for clothes, personal belongings, laptops, cameras and gadgets. For relaxation guests can choose to lounge on the sun deck or open-air lounge with stunning sun-set views, read a book, enjoy a cold beer or pick up some cooking tips from the on-board chef. 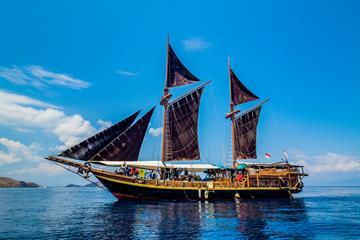 Meals will be a selection of freshly-cooked Indonesian and Western meals, along with the catch of the day, and freshly baked bread and treats throughout the day. 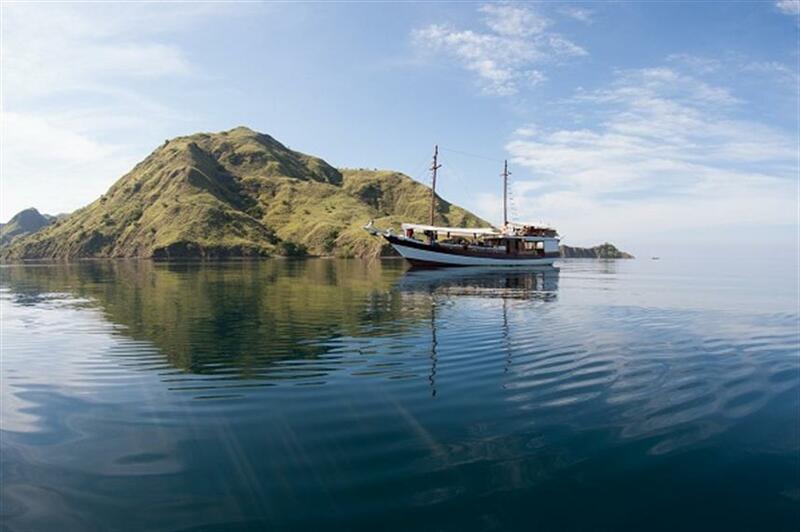 Divers will enjoy the stunning diversity of Indonesia, with trips to Komodo National Park to see Manta Rays and Komodo Dragons, and Raja Ampat with all the amazing bio-diversity it offers and new dive sites being explored regularly. 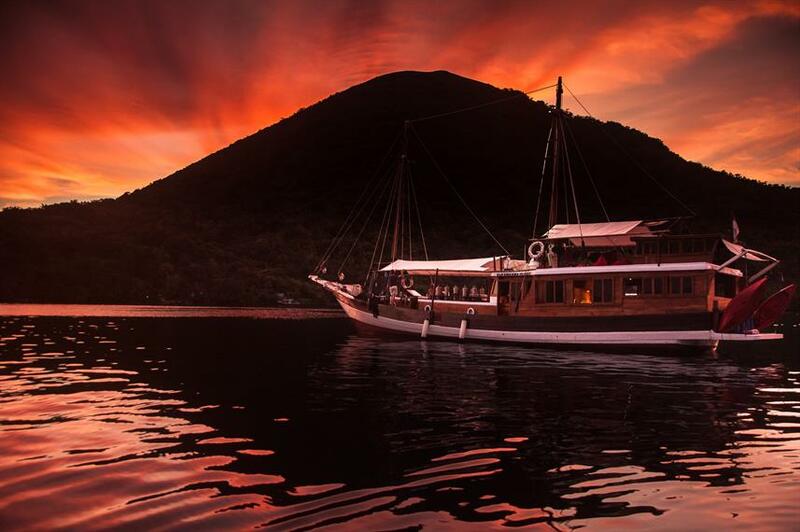 Reserve online today to start your Indonesia adventure. Included: VAT, Drinking Water, Tea & Coffee, Beach BBQ, Full-Board Meal Plan (All meals), Snacks, Diving Package, Fishing, Kayaks, Land Excursions, Cabin Towels. Required Extras: National Park Fees (1,200,000-1,500,000 IDR). Optional Extras: Alcoholic Beverages, Soft drinks, Extra Dives, Rental Gear, Snorkel Gear. There were many highlights! Our dives on sites like Magic Mountain, Four Kings, and Blue Magic were probably the greatest of my life. 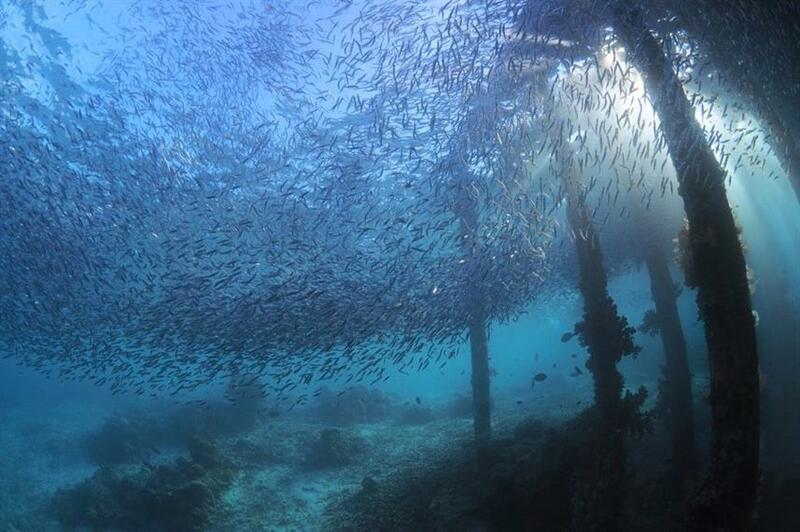 I will never forget the sense of action and energy at these sites as tens of thousands of fish surrounded us, sometimes obscuring our view, sometimes producing a noise like underwater thunder when massed schools (silversides, fusiliers) would react as one to the predatory sallies by trevallies and jacks. Nearly as amazing were the numbers and colors of the sea fans, soft corals, and sponges (especially at the Misool sites). The topside scenery of jagged, rainforest covered, limestone islands was nearly as awesome as the diving, especially when we took sidetrips into the winding channels and shallow lagoons separating some of the islands. It was incredible to wake up in the morning in a sparsely inhabited wild place with the only sound being the dawn chorus of the birds! The Kira Kira itself was nothing fancy - no air conditioned cabins, and no frills. But there were plenty of comfortable bean bags on the shaded upper deck to lie down on while waiting for the next dive - or to sleep on during clear starlight nights. The meals cooked for us by culinary genius Muly were some of the finest I have ever eaten in Indonesia. The 8 guests, 5 crew, and 2 divemasters quickly established an easy rapport as we moved from one amazing site to another. Alex and Claire were wonderful underwater guides, showing us pygmy seahorses, mushroom coral pipefish and other macro wonders, while keeping an eye out on the blue for passing tunas and sharks and always making our safety their highest priority. 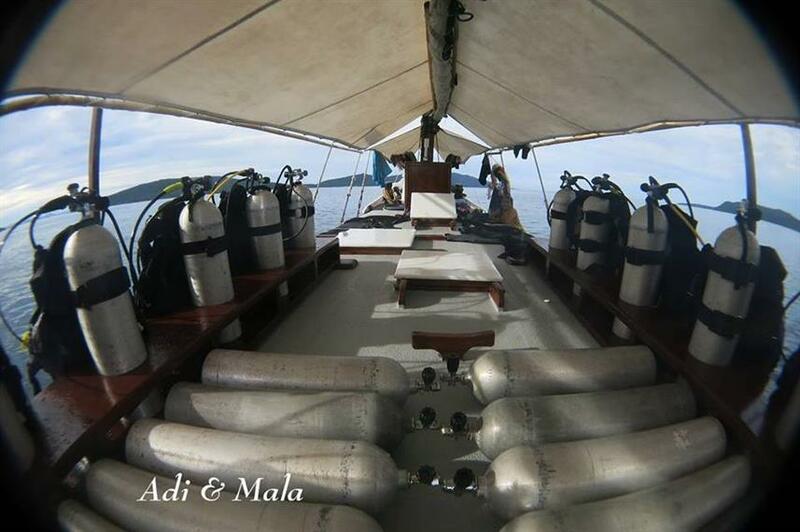 1) The friendliness and hard work of the crew, cruise director and divemaster 2) The diving! 3) The incredible homecooked Indonesian meals that we ate! 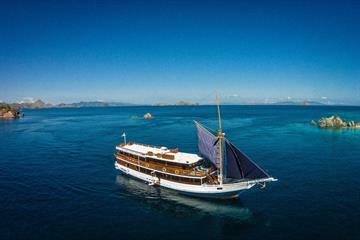 We had a wonderful week in Komodo aboard the Kira Kira. We loved to wake up every morning in the middle of the sea and go for an early dive to start the day. We spent a lot of time lying on the top deck to relax. The ambience on the boat was really nice and friendly. We highly recommand this cruise!! 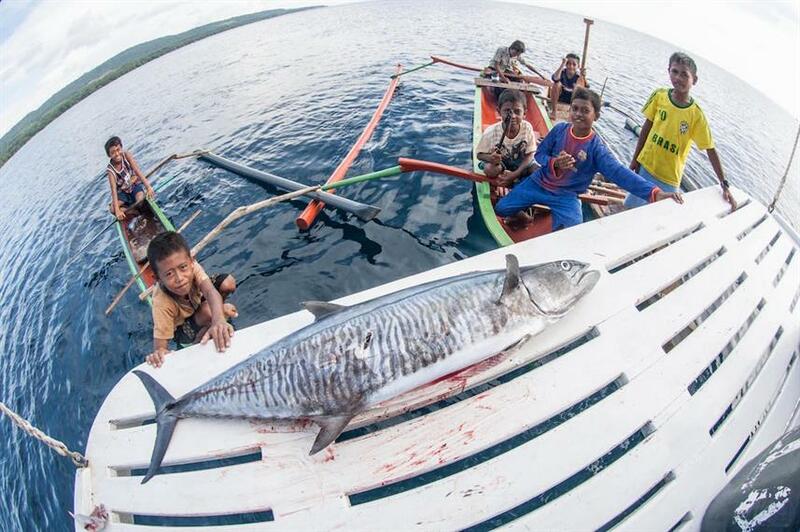 Kira Kira made us all a family and we got to experience the magic of Raja Ampat together! Even though I had seen the videos, I was not prepared for being in such a beautiful place. The diving was great, marvelling at the marine diversity. At times it felt you were swimming in an aquarium, with abundant species all within view. The Kira Kira also did some land based activities which added a great dimension to the overall trip. While we didn't get to see mantas, that is just part of diving! Alex & Clari were excellent hosts and i was laughing with them from day 1 and every day of the trip. The crew takes care of all your gear so you don't have to lift or clean anything. I don't think there was a single meal that wasn't delicious, great food and chocie every mea. I much prefer being on a boat with a small number of people (we had 8 guests) than a large liveaboard as it's more personal and more fun. The diving was great and we even had a trip to a secluded beach for a delicious BBQ and view of the Milkyway above which was the first time i've seen it. I would definitely recommend going on the KiraKira. Thanks guys! The colourful fish in huge abundance, the pristine corals, manta rays , sea snakes, turtles and many more ocean dwellers were overwhelming. Very friendly crew and dive masters Alex and Claire, our cabin on the rooftop, good food. Friendly and helpful management and staff. Excellent dive guides. Small group. Fabulous trip and truly amazing diving. Highly recommend Kira Kira and the liquid adventures team. Diving was incredible, equipment was in good condition and the dive guides were very experienced and safe- one per 4 guests. 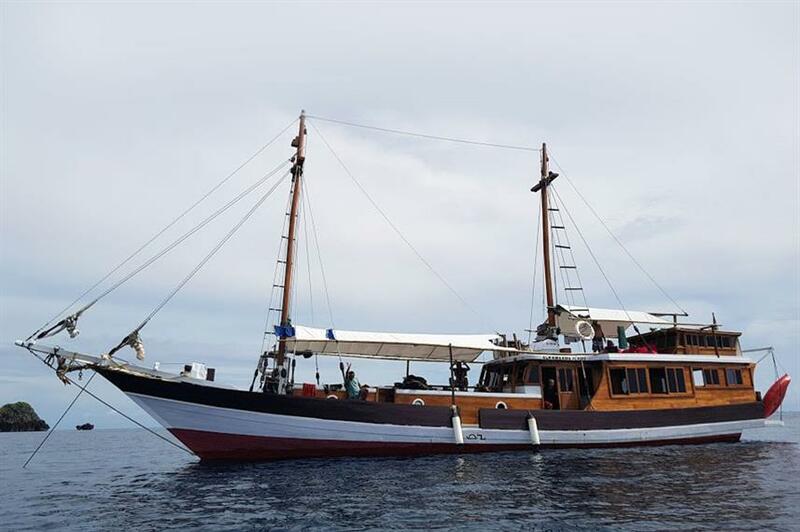 The liveaboard is run by it’s british owner and dive guide with an Indonesian boat crew. 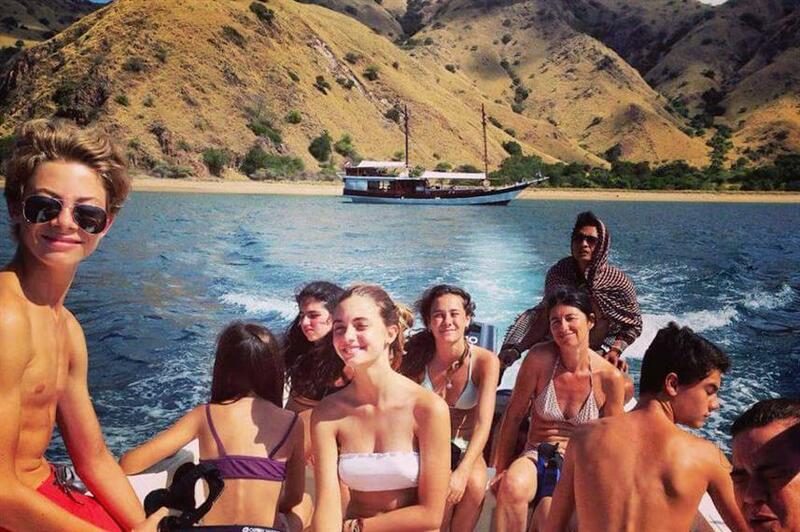 As others have mentioned, the boat only accommodates 8 guests so it’s an intimate group which is great. They cater to mixed diver levels and myself as a less experienced diver never felt out of place. The boat is comfortable although if you are seeking luxury like air con and hot showers this is not a boat for you. It’s practical and has a few spaces to get out of the sun- including the bean bag deck. Fresh water showers and 24hr electricity. Crew are great and food excellent- lots of variety, you definitely won’t go hungry. Beers available on board. Definitely recommend- am planning my next trip already! 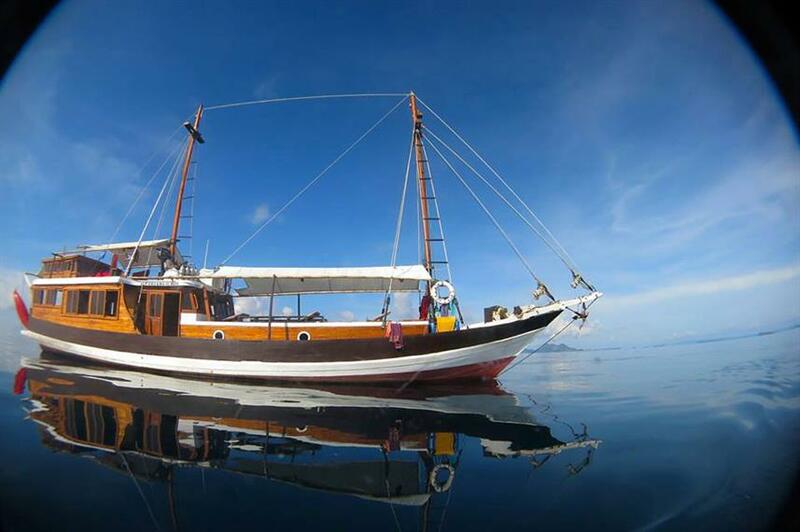 This is my second liveaboard for scuba diving. I booked through Liveaboard.com several months in advance. The booking process was quite smooth, to a degree (more on that in a moment). 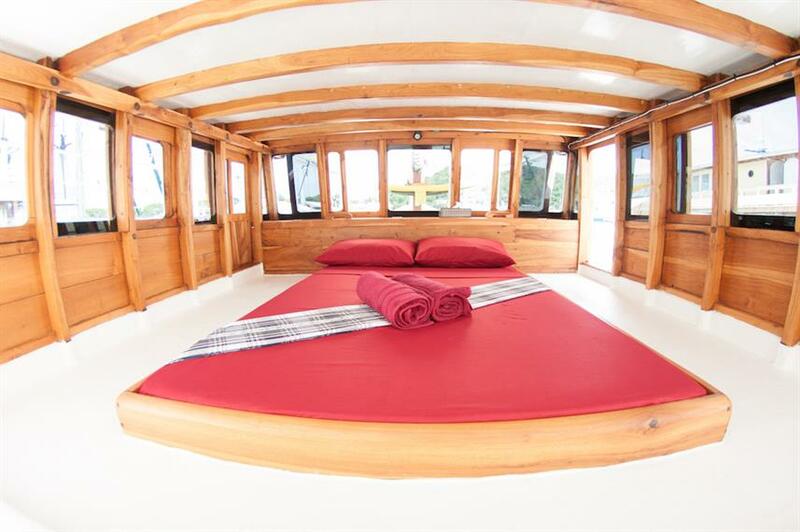 When I was looking for liveaboards in Indonesia, I had rough date range, price, and things I wanted to see. The Kira Kira had exactly what I wanted. The photos of the boat are accurate (and it looks even better in person). The itinerary hit all the points. I was all set. There is a document to fill out once your booking is accepted. The main issue that happened was I hadn't been told by the booking agency exactly what time and where to meet the crew! Luckily it was sorted in the end (as I had my phone on roaming and they called me while I was in the taxi in Labuan Bajo), but Liveaboard.com was pretty bad (that should be read as non-existent) at responding to emails leading up to the trip. Let's chat more about the Kira Kira. During times of strong currents and wake from other boats, she was super steady. The designer/builder was truly a craftsman and took great pride in his work. The intricate details will amaze you. The views were stunning! With a speed boat in tow, they can get anywhere around the islands as needed. 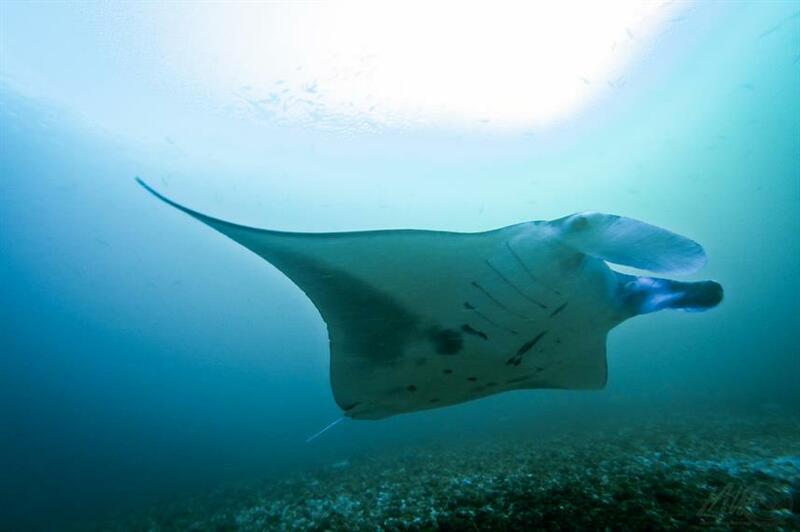 Your advanced certification will come in handy, as you enter the water from the speed boat, dive in drifts constantly (it's a strong ocean after all), and see some amazing species up close and personal. You won't be disappointed at all. I had zero complaints about the food, except that I wanted them to cook for me after I had left the boat! The chefs have some incredible recipes. With their Indonesian heritage and knowledge of Western cooking, they can create some delectable dishes that will leave you wanting more. Be sure to try the coconut spread. I had to purchase some jars of it to take home because it was that good. The other crew do a fantastic job of ensuring the Kira Kira is operated safely. Paul (the owner) and Alex (the dive master) are great lads and do the very best to take care of you. They know these areas inside and out. Alex goes over the dive in depth before each dive (and be prepared to be impressed at his whiteboard drawing skills). Together, and with the crew, they do an amazing job of scouting out the areas, understanding the currents and weather patterns, and adjusting the dive schedule so that you get the most out of your diving experience. Being flexible with the schedule is a must! Things change, so go with the flow, and you will come away with a great experience, if you catch my drift. Overall, this is a ship, crew, and group who know what they are doing. 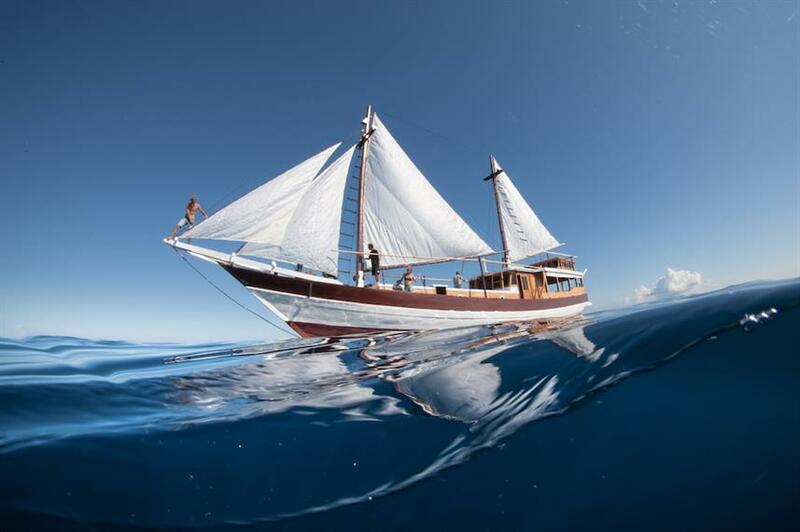 They are masters at their craft and will make sure you have an amazing liveaboard and diving trip. The cost is super-effective, and don't be fooled into thinking you would be getting a substandard product. You won't. Enjoy the experience, and, as they say, Kira Kira. We loved that this was a small group which meant it had some room for flexibility. We all got along well so that made for a fun trip. Alex our dive guide was so amazing with dive briefings and diving. He was also very patient when we all wanted to have a go at the wakeboarding which meant having to drive the boat in the hot sun for 4 hours one afternoon. The boat was basic, but had the necessary things for comfort. The bean bags on the deck was fantastic place to chill out between dives and enjoying sunrise and sunset. Double cabin is lovely on the deck, you get a beautiful breeze, and you can enjoy the view but have to admit a bit annoying with the low ceiling after knocking your head a few times getting in and out. It is not private in that the whole cabin faces the deck where people hang out and also occasionally crew sleeping. They have curtains so its manageable. 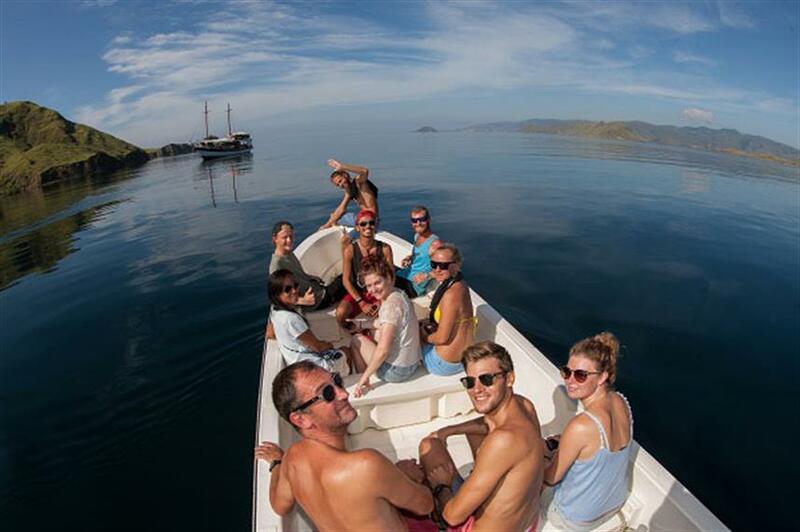 Can not recommend the Kira Kira highly enough - did an 8 day liveaboard around the Komodo Islands, leaving and returning to Labuan Bajo, and including a day trip to see the Komodo dragons. Highlights: - The food was fantastic - plenty of variety, plenty of quantity, and very tasty - The people on board the Kira Kira are very friendly, and make great divemasters. The crew are also fantastic - always willing to have a laugh with the guests - And of course, the dives - the Kira Kira doesn't plan their dives months in advance like some liveaboards; each trip, they pick the best dive sites best on current conditions. They also try to avoid the ones that are going to be crowded with day trippers, or time the dive to avoid other groups - I think there was only one, maybe 2 dives the whole trip where we ran into other dive groups. We were able to see manta rays, turtles, and reef sharks, on multiple occassions, as well as fantastic coral gardens and rock walls. Good diving in this region. Hospitality and friendly crew. Missed planned route and diving places. Vessel to small and old (technical failures, oil smell downstream cabins, fresh water shortages). Cockroaches. Kira Kira exceeded our expectations! Stepping on board you're immediately welcomed and made to feel at home by Richard and his crew. Cabins are comfortable and the shared facilities work well. 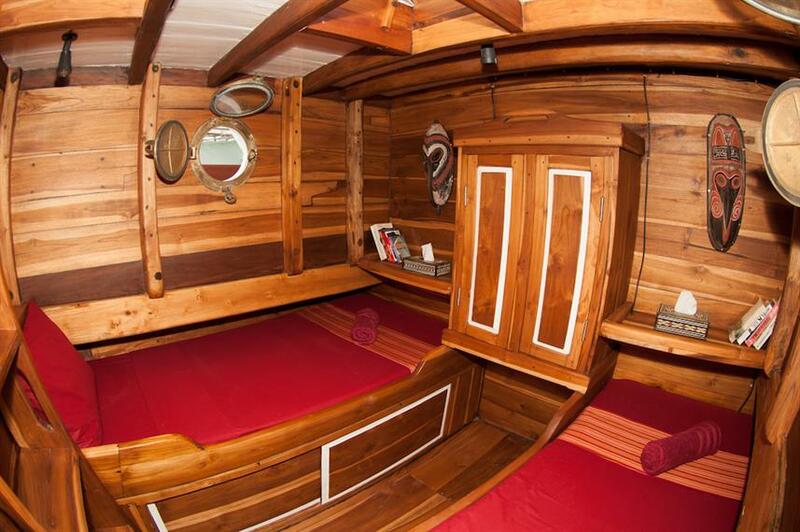 It's an intimate boat with no room for "egos" and that was perfect for us. 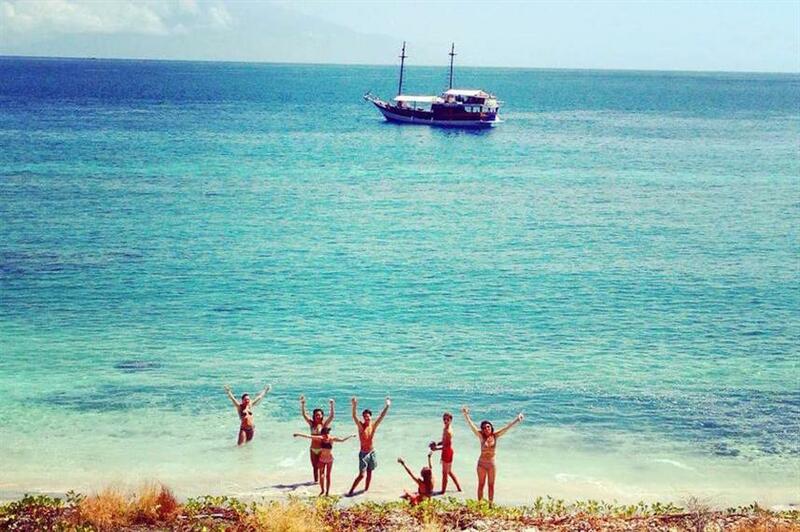 With a total of 7 nationalities on board it gave everyone the chance to really mix and get to know each other. Their flexibility on the route ensures the best conditions for everyone as they catered for snorkelers and divers of all different levels and we were really happy with the dive sites and the guides knowledge. The heart of the boat is the lovely Lea and her kitchen where she and Ali continuously produced way too much amazing food paying attention to everyone's dietary needs. It was impossible to leave hungry! The journey was broken up by brilliant island visits, jungle trecks, lagoon views and beach BBQ's (more food!) Great boat and we can't praise the entire crew enough. A perfect combination of attentive, polite, helpful, fun and a little bit crazy! Amazing Raja Ampat! Kira-Kira makes you happy. Uncountable fishes and other species!, 7 Pygmy Seahorses on one fan coral!, Little blueringed Octopus! Stars wherever you watch! Beautiful landscapes and islands! Funny and very good Crew! Amazing food! Manta Ray sightings at Manta Sandy and Four Kings. Excellent crew - very servcie oriented. 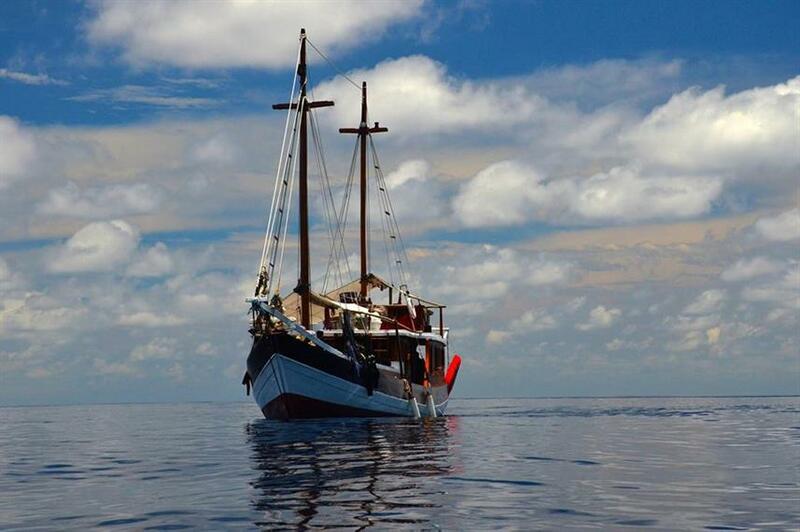 Rough sea and weather on our 1st night towards the south of Raja Ampat, but decided to turn back to the calmer north. This means extra fuel, but crew and owner had no hesitation. Many extras thrown-in - island BBQ's; extra night dive by popular demand, sunset & lagoon cruises. 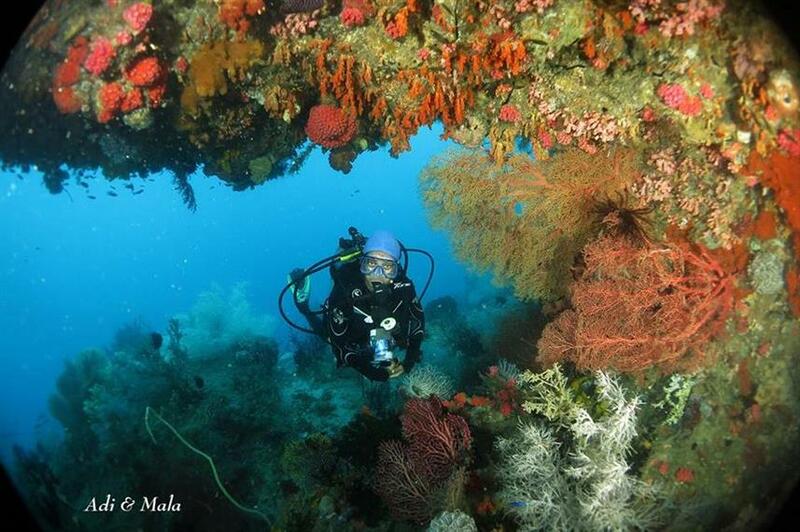 One caution- make sure you get latest itinerary from dive operator before booking flight. Website schedule is not updated. Had to change my flights and incur $200 in flight change fees (multiple sectors); or allow extra 1-1.5 days after returning to Sorong to fly. The Diving, The Crew's attitude to please, Lea's food - BBQ & Sushi. 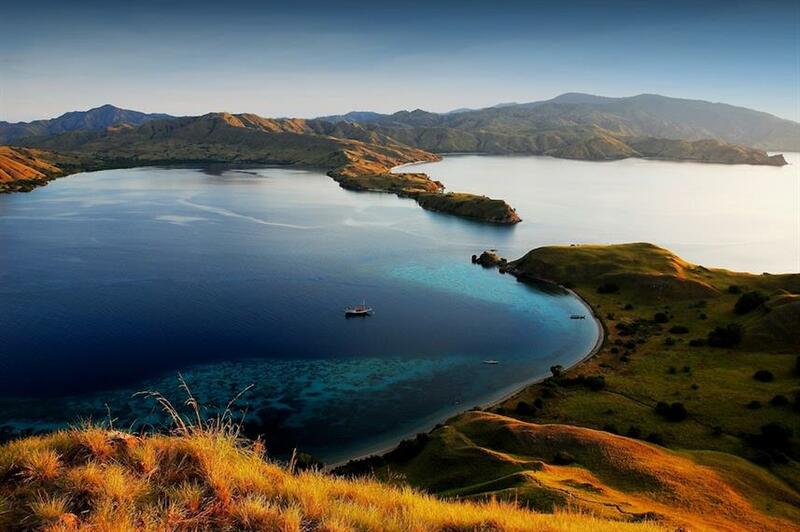 Komodo is without question one of the best dive areas in the world. The amount and variety of fish is amazing! 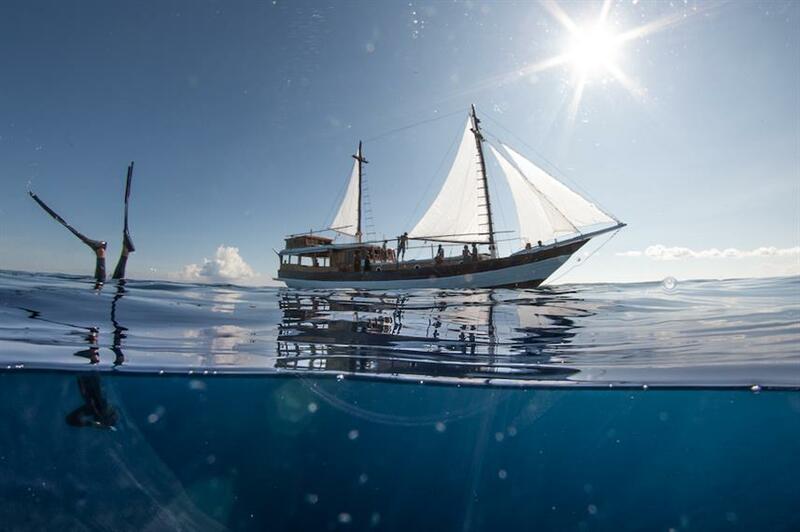 For your own sake and that of your fellow divers, dont do a liveaboard until you are comfortable with boat diving, drift diving, and buoyancy. 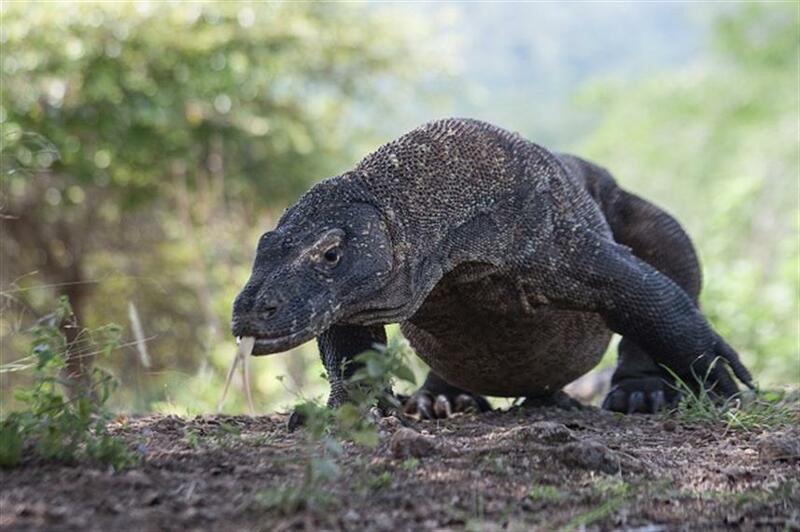 But once you are, Komodo is a must. Diving in an aquarium with warm water. The corals are so varied in shape, type form and colour, it is breathtakingly beautiful. Snorkelling is amazing (sometimes better than diving). The KiraKira is the best Boat for people who do not want to dive staccato 4 times a day but want to enjoy the diving without hectic and stress. 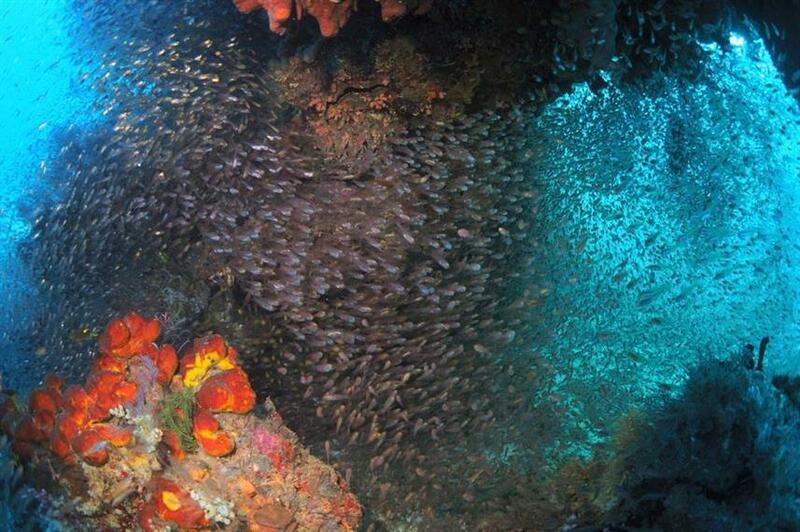 Dive sites are well chosen, always with regards to currents and local conditions. Safety first. 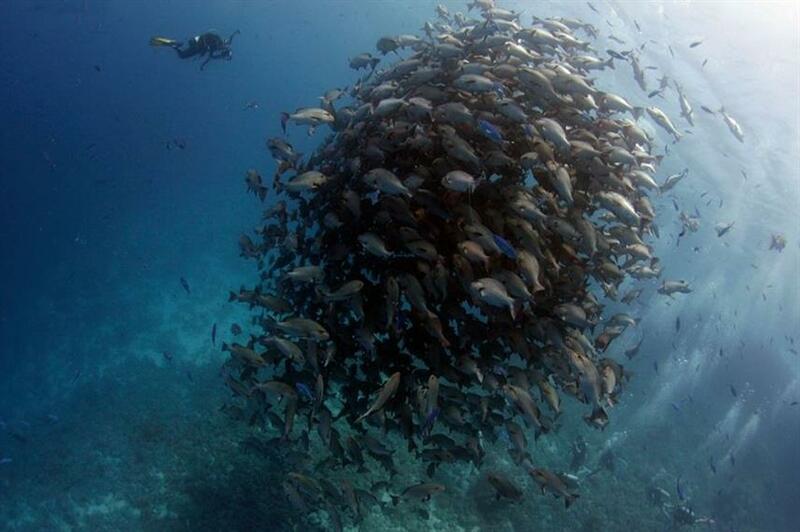 If the dive site seems "crowded" we rather moved to a different spot and came back to that one later. You still get to see all the main things on the list such as Mantas and turtles and sharks and Nemo fish. The crew are local and well connected. Amazingly friendly. They sing and play guitar, joke around and make this trip truly enjoyable. The owners, two Brits, are far-travelled and have plenty of stories to tell, if asked. The chef is amazing! Thanks to her, think I gained 3 kg on the trip.